Truck tonnage closed out 2018 on a 20-year high with an annual increase of 6.6%, American Trucking Associations announced. The result was the highest for the federation’s seasonally adjusted for-hire truck tonnage index since 1998, when truck tonnage rose 10.1%, ATA said. And last year’s gain came despite a downturn in December, when tonnage dipped 4.3% to 111.9 from November’s level of 116.9. In calculating the monthly index, 100 represents 2015. The 2018 result is significantly stronger than the 3.8% improvement that the industry saw in 2017. “The good news is that 2018 was a banner year for truck tonnage, witnessing the largest annual increase we have seen in two decades,” ATA Chief Economist Bob Costello said in a Jan. 22 release. But Costello and other economists who specialize in the trucking industry said the industry may have peaked in 2018 and is now slowing. “There is evidence that the industry and the economy is moderating as tonnage fell in a combined 5.6% in October and November after hitting an all-time high in October,” Costello said. 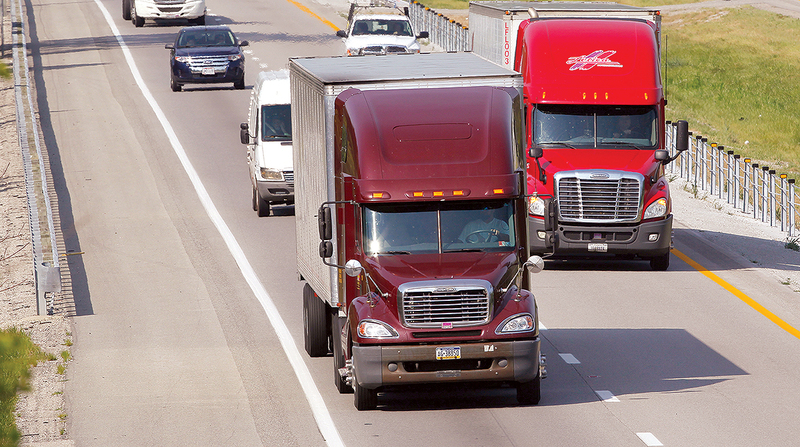 Trucking serves as a barometer of the U.S. economy’s health as the industry carries 70.2% of tonnage carried by all forms of domestic freight transportation, including manufactured and retail goods, ATA said. It has calculated tonnage on a monthly basis since the 1970s. It is still not clear what impact, if any, the partial government shutdown will have on the U.S. economy, as the dispute between the White House and Congress over $5.7 billion in funding for a wall along the U.S.-Mexico border continues. Kevin Hassett, the chairman of the White House Council of Economic Advisers, earlier in January doubled his estimate of how much the shutdown is impacting the economy. He said each week the shutdown lasts shaves 0.13% off the nation’s gross domestic product, and at the one-month mark that means the GDP could be down by more than 0.5%, according to White House calculations. But White House economic adviser Larry Kudlow sought to downplay the possible damage to the economy, telling reporters on Jan. 22 that the economy will bounce back once the partial shutdown ends. “It’s a temporary issue,” he said. In December FTR Transportation Intelligence projected freight growth will start the year at more than 3% and then drop to 2% in the second half of 2019. “The peak in the industry looked to be somewhere in that May-to-September period, where things were extremely hot and now, yes they’re off of peak. But starting 2019 we are in good shape,” FTR Vice President of Commercial Vehicles Don Ake told Transport Topics.